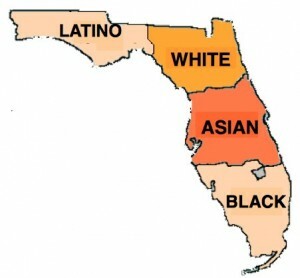 ORLANDO, Fla. (AP) – Blacks and Hispanics will be held to lower academic goals if the Florida Department of Education and the state Board of Education. But, setting less ambitious academic achievement goals for black and Hispanic students in Florida is discriminatory, according to a civil rights complaint filed Friday with the U.S. Department of Justice. The complaint filed by the Southern Poverty Law Center asked the federal Department of Justice to look into the standardized testing goals of the Florida Department of Education and the state Board of Education. The complaint alleges that Florida education officials have set less ambitious test result goals for black and Hispanic students compared to white and Asian students. "By setting lower expectations … Florida is telling these students it's their skin color, not their hard work or perseverance that will determine their success in school," said Jerri Katzerman, deputy legal director of the Southern Poverty Law Center. The complaint says race-based achievement goals are unsound and implement self-fulfilling low expectations. The filing of the complaint was announced at a news conference held at the National Association of Black Journalists' annual convention in Orlando. "I see no reason for Florida to set lower goals for me," said Robert Burns, a 14-year-old Miami-Dade student, who attended the news conference. "I feel as though the color of my skin should not or will not determine my future." Florida received a waiver of from having to meet certain educational benchmarks established in the federal No Child Left Behind Act, which was passed during the administration of President Bush to raise academic achievement goals nationwide. The waiver allowed Florida education officials to craft their own plan for improving academic achievement. The plan sets the expectation that 90 percent of Asian American students and 88 percent of white students will read at grade level by 2018. Those same goals were only 81 percent for Hispanic students and 74 percent for black students, according to the complaint. The math goals were that 92 percent of Asian American students and 86 percent of white students reach grade level by 2018. Those same goals were 80 percent for Hispanic students and 74 percent for black students, the complaint said.